While the property in Malibu proper is easily some of the most highly sought and gorgeous in the world, many clients are unaware of all the wonderful housing and recreational areas surrounding the township of Malibu, CA. Topanga Canyon homes and Topanga real estate offer all the characteristic quality and exclusivity of Malibu while providing a more rural setting. Surrounded by lush forests, green grasses, and stunning hilltop views of the world-renowned Malibu coast, Topanga Canyon homes give you all the luxury you could ever want while remaining within sight of those gorgeous Malibu beaches. Topanga real estate is the ideal choice if you are torn between spending the majority of your time relaxing on the beach and hiking through the beautiful countryside. Topanga canyon is crisscrossed with trails providing an uncountable number of exploratory options for dedicated hiking or biking enthusiasts. Whether you prefer a comfortable walk through unblemished grasslands, framed by amazing ocean views, or a more challenging uphill bike trail that gives you a closer look at the forests surrounding the Topanga area, you’ll find exactly what you’re looking for. In addition to hiking and biking, several options exist for horseback riding. Well known by locals and visitors, the Park Place Stable offers a wide range of mounts and trails for beginners and experts alike, allowing you to view the Malibu coast as the settlers once did hundreds of years ago. Most of the real estate around Topanga canyon is untouched by commercialization and industry, providing you with an authentic taste of nature as you saddle up and explore the countryside. For those who prefer to enjoy the pounding rhythm of the surf, beach rides are also available so you can enjoy the Malibu coastline in all its glory. In fact, many Topanga real estate properties include horse corrals and stables, allowing you own your own horse and ride whenever you like. 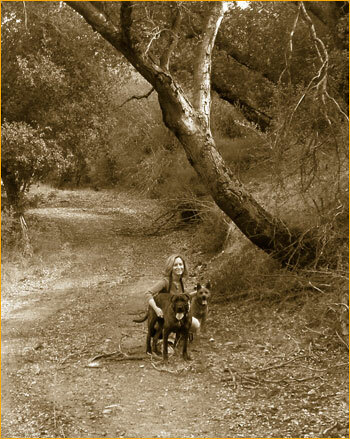 For the true nature enthusiast, Topanga State Park remains one of the largest open space preserves in the entire world. While surrounded by an urban city, the Topanga State Park offers travelers and natives alike the chance to see Malibu and Topanga as they existed thousands of years ago – untouched and pristine. Providing a wide variety of flora and fauna native to the region, like California coastal sage and California oak, Topanga State Park also allows you to see natural streams, waterfalls, and great cliffs of full exposed bedrock. Peppered with overlooks that grant an unobstructed view of the surrounding beaches and countryside, Topanga State Park is a jewel of natural beauty set in the center of the Malibu area. And when you’ve had your fill of naturalistic environments, Topanga real estate is a stone’s throw from the township of Malibu, and close enough for you to travel to the city center and engage in shopping, fine dining, or sunbathing to your heart’s content. 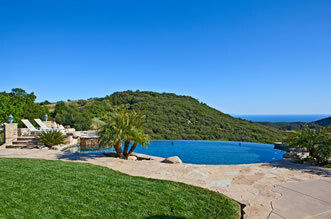 Come find out why Topanga canyon homes are a beautiful and scenic alternative to beachfront property!